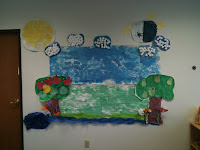 We began this week reviewing the first 2 days of creation, and began talking about the third day. On the third day, Hashem created the rivers, seas, trees and plants. 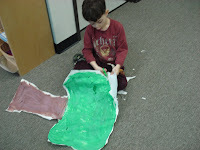 The children created a pear tree, and coffee filter flowers, and added a tissue paper river. We talked about living and non-living. Living things grow. Non-living things do not grow. a plant, fish, children, teachers. 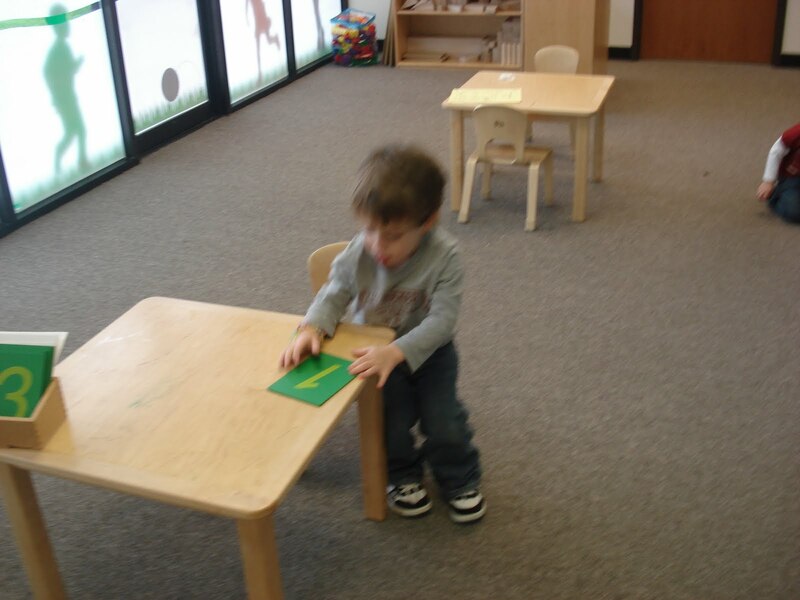 tables, chairs, books, pencils, toys. juicy, sweet, and fun to peel. called the 3 Period Lesson. First, I give the name of the object or symbol. Kian is tracing the sandpaper 1 and saying "1". 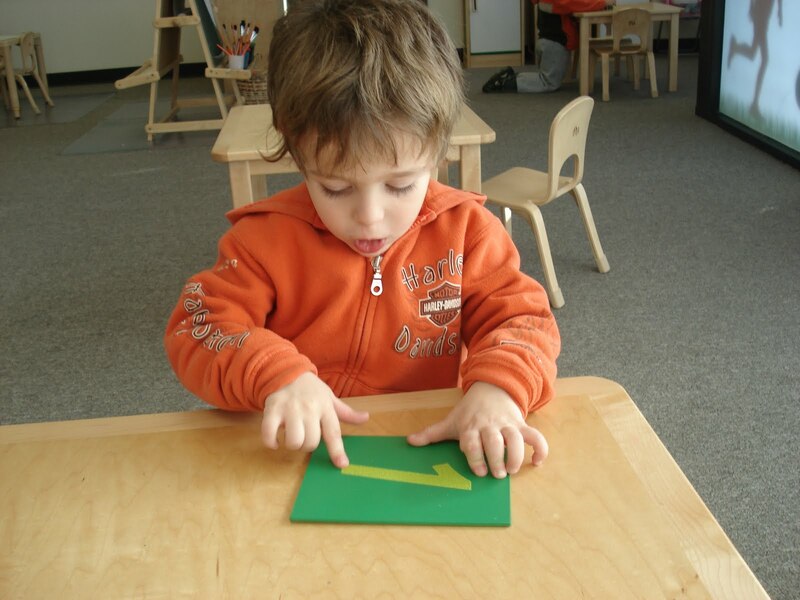 Secondly, I ask the child to touch the object or move it. The child doesn't need to tell me anything, but to show me. Step 2 takes more time than either step 1 or 3. In step 1 and 3 the vocabulary is being given or recalled. 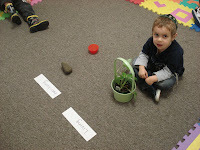 It is during step 2 that the child begins to connect the vocabulary with the object or symbol. This is done with repetition and fun: Please place the 2 under the table/please place the 1 on Morah Katie's head/Please place the 2 on your head, etc. Kian is pointing to the 1. 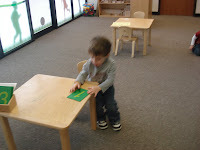 Kian has already moved the 2, and is getting ready to put the 1 under the table. Lastly, I ask the child to name the object. 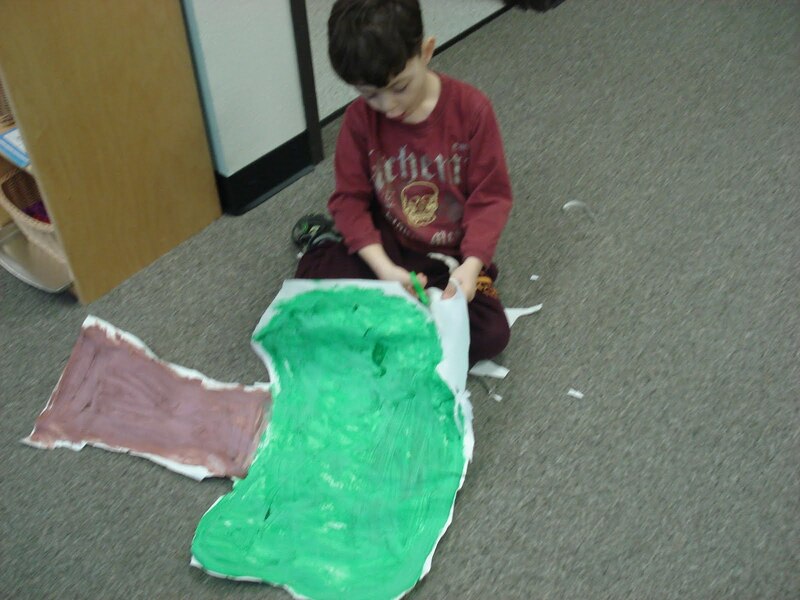 If the child correctly identifies the vocabulary, we move on and add more. If the child mis-identifies the vocabulary, I thank them for working with me and we put it away for another day. This is a process. All 3 steps can occur in one lesson, or over a few lessons. 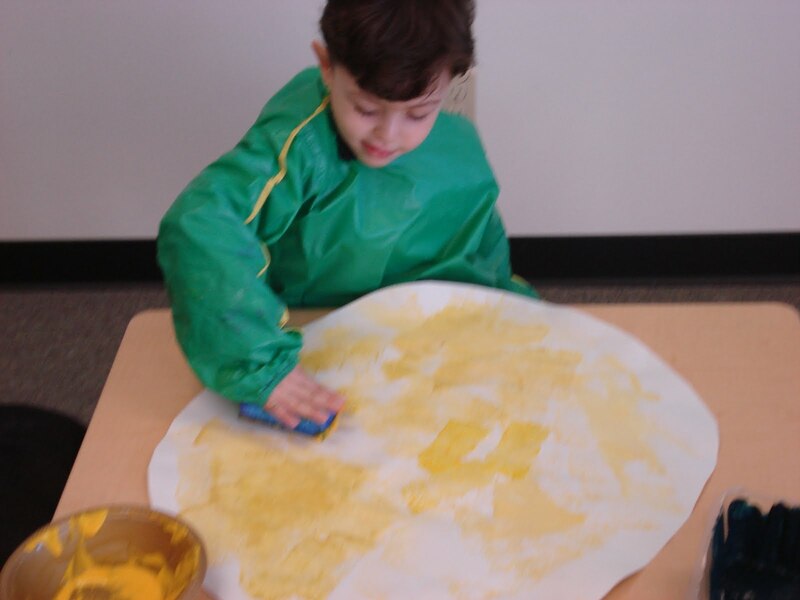 child to explore, discover and utilize. 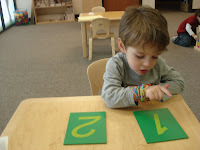 For example, once a child has mastered a certain group of letters, he/she can be introduced to the idea of blending sounds, and building words. 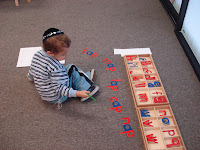 Sounds continue to be added to what the child knows, more words can be built and soon we have writers and readers. 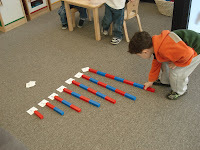 The red and blue rods, also called the number rods, are a very concrete tool for helping children learn 1-10. The 1 is 10 centimeters long, the 10 is a 1000 centimeters long. 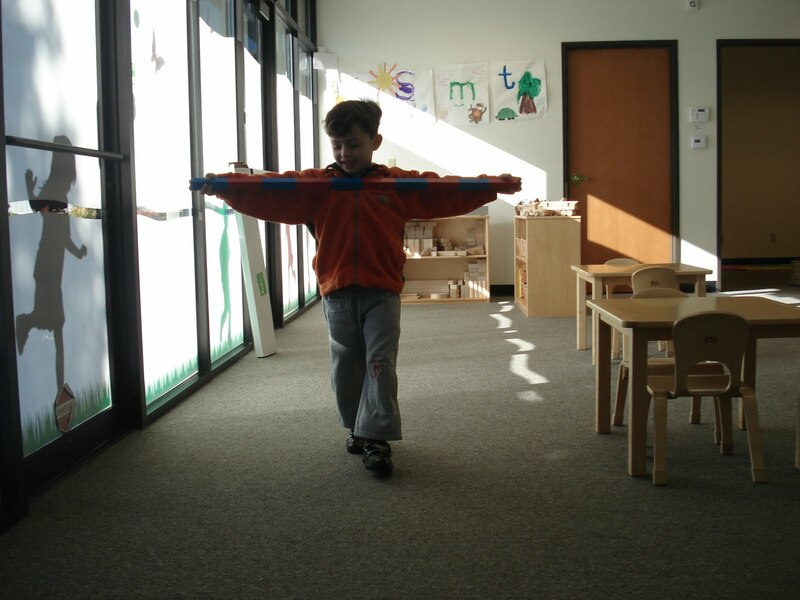 The children can hold the 1 in one hand, whereas they need to hold the 10 with both hands and often with full arm extension. These very real things help the child form the connection between the realness of something and the symobls given to communicate that something. 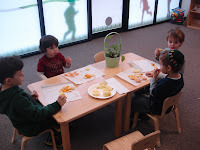 Morah Katie: Daniel, which is longest? the 1 or the 10? 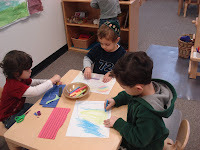 Morah Katie: Which is longer, 2 or 7? Morah Katie: Which is the shortest? The smallest? Thursday we spoke about what Peace Makers can do if they are getting teased. We read the book Yoko, by Rosemary Wells. We paid attention to her face through out the book, the sadness on it when she was feeling bad and the happiness we saw when she made a friend. 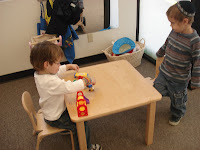 We used a toy swing set to role play what we can say if we experience teasing or see one of our friends getting teased.